The Health and Social Care Minister is to seek re-election to the House of Keys this September. Howard Quayle, who topped the poll in Middle in 2011, has confirmed he will stand in the forthcoming General Election. He’s been Minister for just over two years following spells as chairman of the planning committee and the former Manx Electricity Authority. He was also a member of Economic Development where he was involved promoting the space sector, the e-gaming industry and responsible for the shipping and aircraft registries. Mr Quayle says he’s under no illusions the government will face major challenges in the next five years but if overcome - and he says overcome them we must - then the Isle of Man will be on a really secure footing. 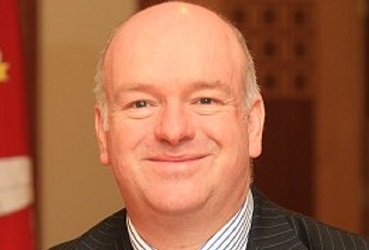 Managing the public sector pensions liability; further balancing the loss of £200 million in VAT receipts; continuing to provide a sustainable and high quality health and social care service and handling and responding to attacks on offshore finance centres – something he believes are likely to increase in the coming years. Mr Quayle, of Ballavitchel in Crosby, believes his track record demonstrates his determination and forward-thinking and wants to continue to work with residents and local authorities in Middle, for the good of the constituency and the Island.